DID (dissociative identity disorder) is a condition in which a single person displays multiple distinct personalities known as alters, each with its own type of behavior. When another personality takes over, it is said that some describe it as “being a passenger in their body rather than the drive. One Norwegian blogger described by using the computer as a metaphore: “Its like the screen is off, and the machine still on. When the screen goes on, there will be no memory of what the machine has been doing, it`s often totally blank”. It has been a lot of controversy related to this diagnosis. I will present three famous people who got the diagnosis of DID. 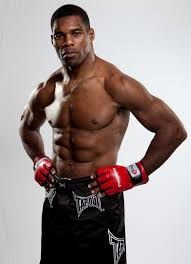 Herschel Walker was one of the most powerful running backs in college and NFL history. Because of his combination of strength and speed he’s one of the greatest in the game. The 1982 Heisman trophy winner spent 15 years in professional football. But the side you may not know, is shortly after he retired, he was diagnosed with dissociative identity disorder, also known as multiple personality disorder or D.I.D. “Herschel grew up in a Christian family. He was one of seven children. Unlike his siblings, it was hard for him to fit in at school. “I didn’t love myself. I didn’t love who I was,” Herschel said, “having a stuttering problem, kids picking on the way you spoke, picking on your weight.”Herschel’s struggles continued up until the seventh grade. He realized that if things were going to change they needed to start with him. His habit of pushing himself also paid off in the classroom and he graduated valedictorian of his class! With a full football scholarship, he attended the University of Georgia, where in just three years he won the Heisman trophy. He had a lot of sucess in the following years. After retiring in 1997, he began to notice disturbing changes in his behavior. “When you start wearing a hat – that you wear this red hat for football, you wear the white hat for home, you wear the blue hat for work. But all of a sudden when you leave home, you put on the red hat; you put it on at home. The hat’s all screwed up. So now, that aggressive nature that you had in football is now at home because you put on the wrong hat,” he explained. For him religion was salvation, and he now lives a good life. 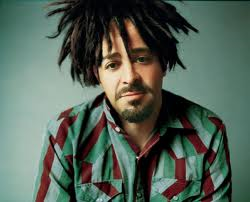 Adam Fredric Duritz (born August 1, 1964) is an American musician, songwriter, record producer, and film producer. He is best known for his role as frontman and vocalist for the rock band Counting Crows, in which he is a founding member and principal composer of their catalogue . He really had an eye-opener after a period where everything went wrong. First his grandmother died, and then his partner ended the relationship. He hadn`t been there for anyone, was always on a gig instead of being with his familiy when he should. When someone said that he was turning into a jerk, he realized this couldn`t continue. This was not depression. This was not workaholism. I have a fairly severe mental illness that makes it hard to do my job–in fact, makes me totally ill suited for my job. I have a form of dissociative disorder that makes the world seem like it’s not real, as if things aren’t taking place. It’s hard to explain, but you feel untethered. And because nothing seems real, it’s hard to connect with the world or the people in it because they’re not there. You’re not there. That’s why I rarely saw my family back then: It’s hard to care when everything feels as if it’s taking place in your imagination. And if you’re distant with people, especially women you’re romantically involved with, they eventually leave. Saturday nights and Sunday Mornings is the double album that came out of my battle with dissociative disorder. Everything I went through is in there. The first part, Saturday Nights, is vicious and loud. Sunday Mornings is quieter–the day after. That said, I am nervous about the future. I’ve never been this healthy before. Now I can have all the things I want. Though I’m not seeing anyone yet, I know I can stay with a woman now. I could see that person every day and be emotionally engaged. I could have kids (who would hopefully not be like me) and be there as they grow up. I have all these possibilities in front of me that were never there before. All of which is a pretty good reason to quit the band–and I’ve thought about it. I feel like a whole person. I’m no longer just the songs, which is how I felt for a long time. But we have this amazing music to play, and I want it out there so it’s not misunderstood. 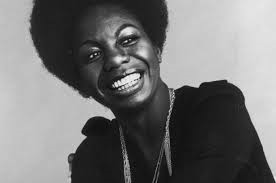 On the slides presented at the end, Nina Simone is mentioned as a person with DID. I cannot find direct references that validates this, but there were signs that might be interpreted like symptoms usual for dissociation. While she lived, it was not a common diagnosis. This entry was posted in dissociation, mental health, Mixed cocktail, psychology and tagged Duritz, Herschel, Simone, United States.